There are many Japanese musical films about aspiring rock and pop stars (though not Hollywood-style musicals, which are seldom made here.) Among the best-loved is “Linda, Linda, Linda,” Nobuhiro Yamashita’s 2005 film about four teenage girls who hastily form a band and wow the kids at a school cultural festival playing The Blue Hearts’ tune of the title. Although a hit in Japan and an audience favorite at festivals abroad, “Linda, Linda, Linda” spawned few successors. One reason is that actual teenage girls here would rather see movies featuring ikemen (handsome guys) burning up the stage. 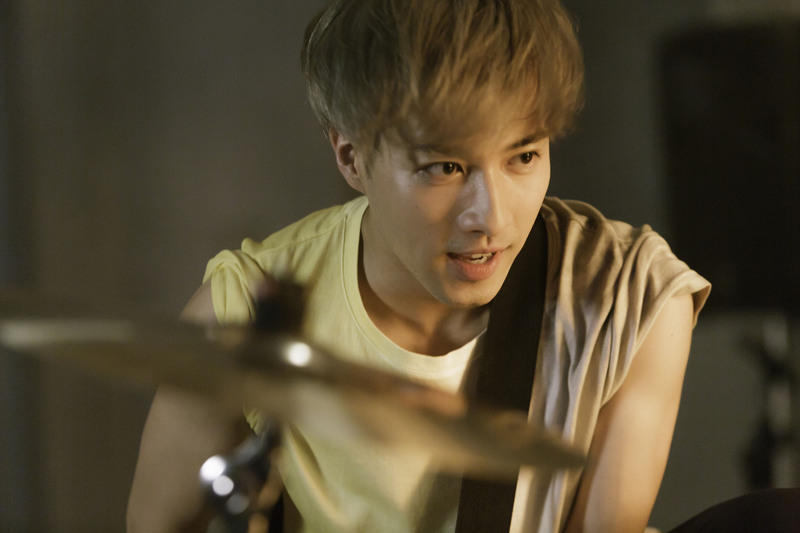 Based on an original script by Kaori Tanimoto and directed by Shunji Muguruma, “JK Rock” cleverly combines a main story about hot-looking rockers with a subplot about a teen girl band (the “JK” in the title refers to joshi kōsei or high school girls). Most of the musical excitement is provided by the latter — the three-piece group Drop Doll, whose members also appeared in the 2016 Muguruma film “Little Performer: The Pulse of Winds.” The band’s members start their on-screen musical careers as near beginners, but are quick studies who soon become accomplished rockers. Also, the film’s ikemen band, the Jokers, is seen in concert only in glimpses. Skeptics may wonder how good a band that poses for publicity photos in schoolgirl uniforms can be. The answer for this skeptic was “surprisingly,” though the band practice sequences, which recall similarly grueling sessions in the 2014 college jazz band drama “Whiplash,” had something to do with it. Kilt skirts or no, the girls deserve respect for surviving their spartan musical education intact — and in the film get it from their mostly male supporters. Meanwhile, two other former Jokers (Ryota Kobayashi and Kaito Kumagai) want to get the latter Jyo playing again. Their plan, carried out with the help of a friendly rock cafe owner (Masahiko Nishimura), is to persuade him to mentor a budding girl band — Drop Doll. 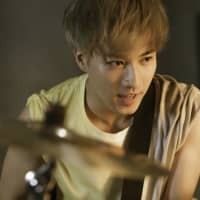 Jyo at first clashes with the band’s fiery drummer Sakura (Chihiro Hayama) who hates being bossed around by anyone, no matter how blonde and beautiful. But Sakura is also talented and ferociously determined — a combination that breaks down Jyo’s resistance to picking up a guitar again. Their blistering duet in the cafe’s practice room alone is worth the price of admission. Afterward, Jyo’s relationship with the band remains strictly professional, even when Sakura develops a schoolgirl crush on him. The fraught drama of the two Jyos’ reunion and the crises Drop Doll face before their first big test in a band concert are strictly standard-issue. But the pulsing heart of the film remains the single-minded quest of Sakura and her bandmates Mao (the single-named Yuina) and Rina (Yukino Miyake) to become real musicians. Come if you will for the gorgeous Fukuyama, leave a Drop Doll fan.